Spring is here, and with it comes the inevitable spring cleaning. For some spring cleaning is easy and relaxing, but if you’re not a naturally organized person spring cleaning can be time consuming, tedious, and stressful. That’s why The Apartments of Wildewood have prepared a guide to help our tenants and people in apartments everywhere. In our first portion, we’ll discuss the importance of, and how to, declutter your apartment. When you do your spring cleaning you’re likely to find that most of your apartments mess is clutter. Clutter in and of itself isn’t necessarily a bad thing as long as it’s well organized and maintained. However, unmaintained, clutter can act as a catalyst for messes. The shelf filled with books and mementos will gather dust, the crowded counter will hide spills and crumbs, and the over stuffed closet…well let’s just not talk about the closet. Tackling this clutter will free up space in your apartment, make the rest of your cleaning easier, and reduce your stress levels. The simplest method to effectively declutter your apartment is to sort everything into one of three groups keep, sell or donate, and throw away. When you declutter a room start with the easiest things to sort, the trash. Throw away any lose trash, recyclables, broken items, and other useless bits. You’ll see an immediate improvement after getting rid of the unnecessary trash that goes unregarded and can then tackle the more difficult sorting with a rewarding feeling of progress. After throwing away the trash you need to get down to sorting through what you will keep and what you will get rid of. This can be more difficult to decide, as sentimental attachment and a desire to be frugal often cause people to keep more then they need. The best way to proceed with this sorting is to ask yourself simple questions about each item to decide whether you will keep it, sell or donate it. Do I need it? Will I need it in the future? Does it work well? Would you notice if it went missing? If you didn’t answer with a yes to any of the above questions, then you can probably safely get rid of the item, either by donating or selling it. Once you’ve finished sorting don’t wait, take the donation or sell pile to your car and get rid of it. After you’ve done that and returned home, then you can return the things you’ve decided to keep to their designated places. 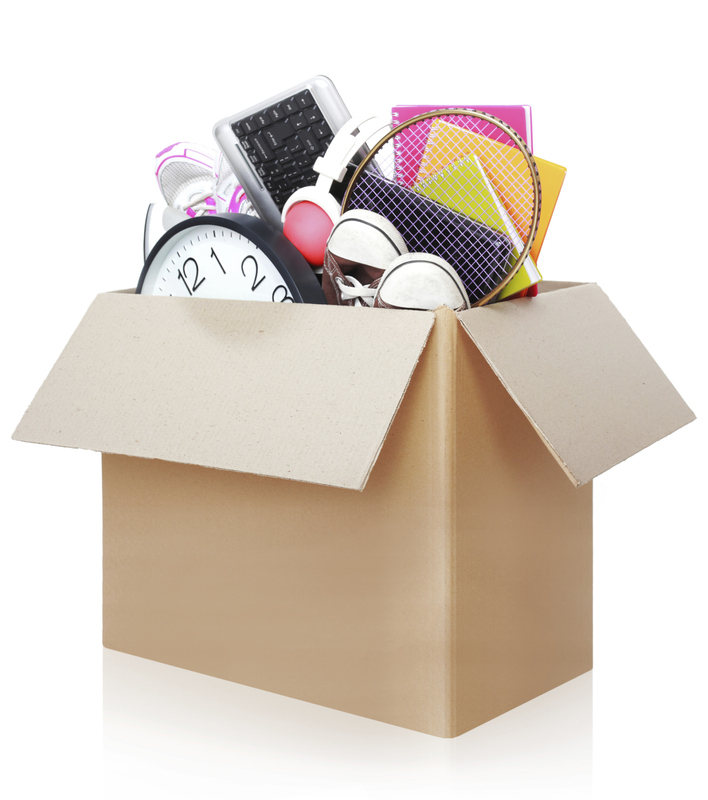 Sorting through your clutter can take time, and can be mentally and emotionally exhausting. If you try and take on your whole apartment at once, you’ll get burned out and dejected from a lack of visible progress. By focusing on one room at a time you can see the progress you make in that space, and pace yourself. You can do your whole apartment over a couple of days if you just tackle one or two rooms a day without burning yourself out. Once you’ve finished decluttering your apartment sit down in your favorite chair and enjoy your newly refreshed space. But don’t let that rest turn into complacency. If you keep organized and keep on top of your clutter a little every day it prevents it from getting out of hand in a months time. Besides the clutter, you have more cleaning to do for your apartment. We’ll discuss that next week. At The Apartments of Wildewood, located in stunning St. Mary’s Maryland, we provide spacious homes with access to pools, an on-site gym, and maintenance whenever you need it – and have access to all the information you need to affordably rent a spacious apartment during the holiday season. To set up an appointment to check out an apartment rental from Apartments at Wildewood, call us at 301.737.0737or visit the website! This entry was posted on Tuesday, March 17th, 2015	at 9:47 pm	. Both comments and pings are currently closed.